1 A None No Power Seat 1 A is a standard Business Class seat, however, the proximity to the lavatories and position of the bassinet may be bothersome. 1 C None No Power Seat 1 C is a standard Business Class seat, however, the proximity to the lavatories and position of the bassinet may be bothersome. 1 D None No Power Seat 1 D is a standard Business Class seat, however, the proximity to the lavatories and position of the bassinet may be bothersome. 15 H None No Power Seat 15 H is a standard Economy Class bulkhead row seat that has extra legroom, however, the position of the bassinet may be bothersome. 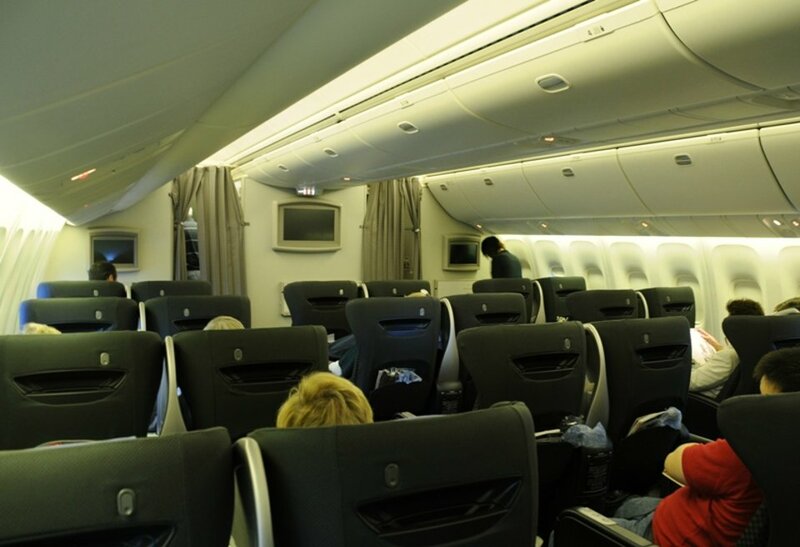 15 K None No Power Seat 15 K is a standard Economy Class bulkhead row seat that has extra legroom, however, the position of the bassinet may be bothersome. 19 A None No Power Seat 19 A is missing a window. 19 K None No Power Seat 19 K is missing a window. 22 A None No Power Seat 22 A may have limited recline. The proximity to the lavatories and galleys may be bothersome. 22 C None No Power Seat 22 C may have limited recline. The proximity to the lavatories and galleys may be bothersome. 22 D None No Power Seat 22 D may have limited recline. The proximity to the lavatories and galleys may be bothersome. 22 E None No Power Seat 22 E may have limited recline. The proximity to the lavatories and galleys may be bothersome. 22 G None No Power Seat 22 G may have limited recline. The proximity to the lavatories and galleys may be bothersome. 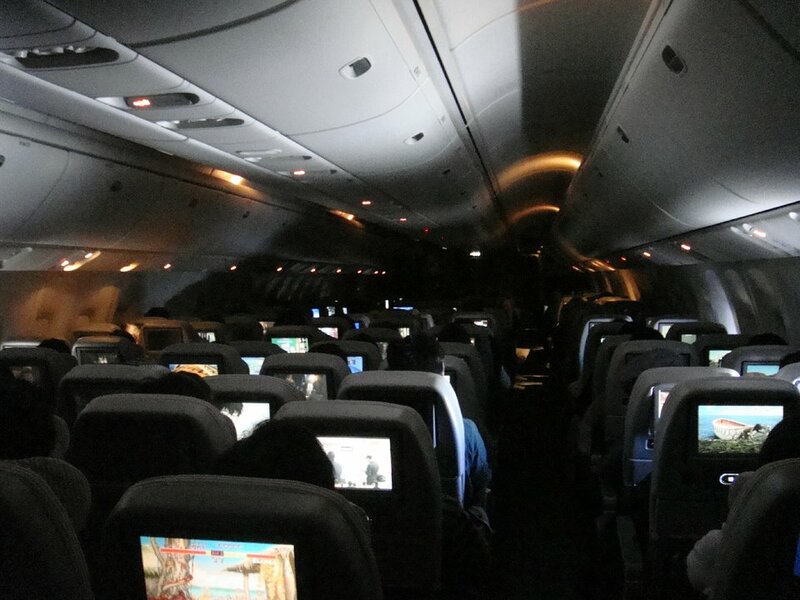 22 H None No Power Seat 22 H may have limited recline. The proximity to the lavatories and galleys may be bothersome. 22 K None No Power Seat 22 K may have limited recline. The proximity to the lavatories and galleys may be bothersome. 45 A None No Power Seat 45 A is a standard Economy Class exit row seat that has extra legroom. The proximity to the lavatories and galleys may be bothersome. 45 C None No Power Seat 45 C is a standard Economy Class exit row seat that has extra legroom. The proximity to the lavatories and galleys may be bothersome. 45 H None No Power Seat 45 H is a standard Economy Class exit row seat that has extra legroom. The proximity to the lavatories and galleys may be bothersome. 45 K None No Power Seat 45 K is a standard Economy Class exit row seat that has extra legroom. The proximity to the lavatories and galleys may be bothersome. 46 D None No Power Seat 46 D may have restricted legroom. The proximity to the lavatories and position of the bassinet may be bothersome. 46 E None No Power Seat 46 E may have restricted legroom. The proximity to the lavatories and position of the bassinet may be bothersome. 46 G None No Power Seat 46 G may have restricted legroom. The proximity to the lavatories and position of the bassinet may be bothersome. 5 H None No Power Seat 5 H is a standard Business Class seat, however, noise from the more crowded Economy cabin may be bothersome. 5 K None No Power Seat 5 K is a standard Business Class seat, however, noise from the more crowded Economy cabin may be bothersome. 63 D None No Power Seat 63 D is a standard Economy Class seat, however, the proximity to the lavatories may be bothersome. 63 G None No Power Seat 63 G is a standard Economy Class seat, however, the proximity to the lavatories may be bothersome. 64 D None No Power Seat 64 D may have limited recline. The proximity to the lavatories may be bothersome. 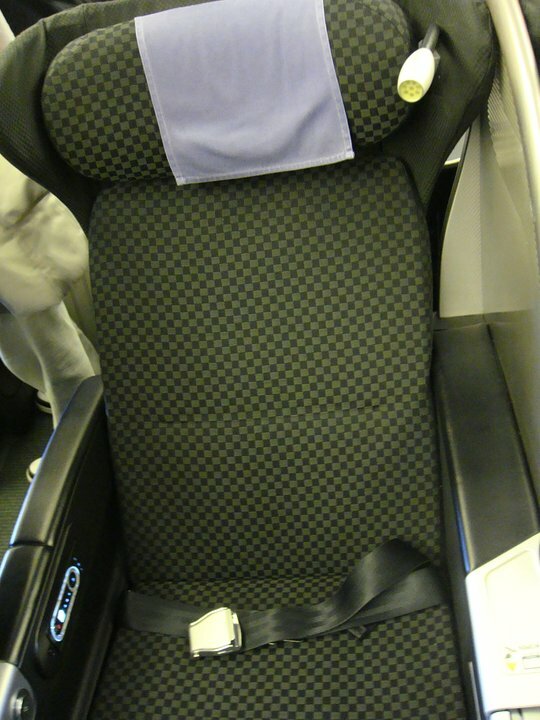 64 E None No Power Seat 64 E may have limited recline. The proximity to the lavatories may be bothersome. 64 G None No Power Seat 64 G may have limited recline. The proximity to the lavatories may be bothersome. 65 H None No Power Seat 65 H may have limited recline. The proximity to the lavatories may be bothersome. 65 K None No Power Seat 65 K may have limited recline. The proximity to the lavatories may be bothersome. 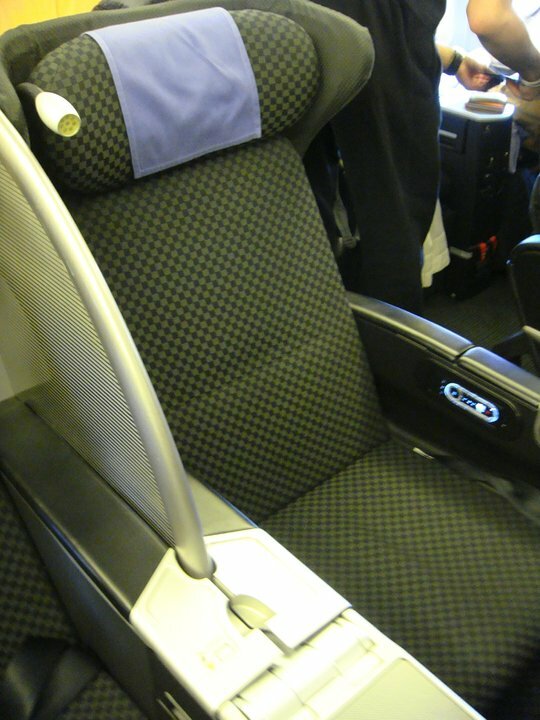 This version of the Boeing 767-300ER (76W) seats 227 passengers with 30 of these seats in Business Class. This aircraft is primarily used on International routes. The 767-300 is capable of being flown by a two-person cockpit crew through the use of system automation features and digital technology. This aircraft is 21' feet longer than the 767-200, and is used on domestic and international routes. 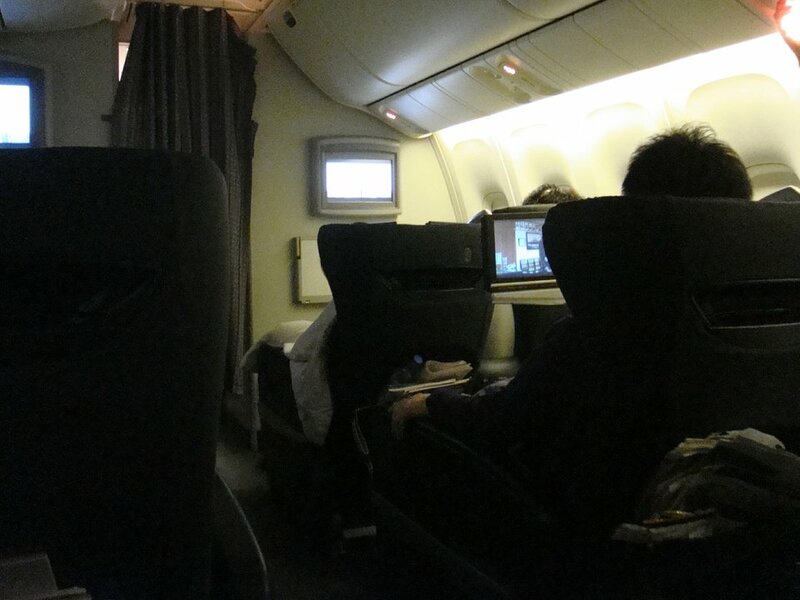 The seats were great, the extra 3 inches of legroom versus the JAL 787 made the return flight much more pleasant than the ride on the newer airplane.